The defending pokemon is paralyzed by the loud song playing. 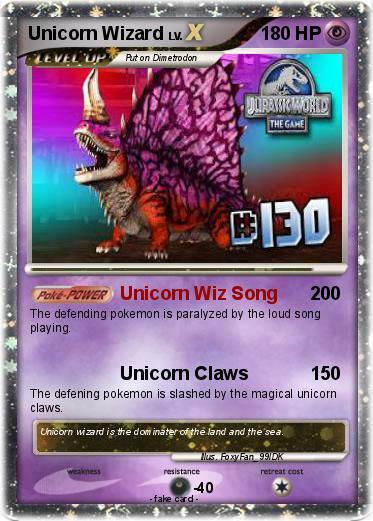 The defening pokemon is slashed by the magical unicorn claws. Comments : Unicorn wizard is the dominater of the land and the sea.